Never worry again about your emails going to SPAM. Get Your Emails To The Inbox. IP Oven seamlessly integrates into G-Suite, Outlook365 and stand-alone senders. Send from a pre-warmed dedicated server and maintain the inbox. IP Oven's transactional messaging technology maintains excellent IP and domain reputation. We continue warming your server after you start mailing, offsettig any complaints that you might generate. Send directly from a warmed IP Oven domain, using any email you like or mail from your own domain. Monitor your server through Google Postmaster Tools, ReturnPath, Yahoo Postmaster and/or Microsoft SNI and watch the rise in your IP and domain reputation. We're here to help via Skype, email and phone. Our only goal is getting you into the inbox and keeping you there. Our simple, yet effective, service will get you back to the inbox as quickly as one week. We keep your server warm by sending transactional emails through your server on a regular interval. We are partnered with a transactional messaging service and we utilize your domain and IP to maintain positive IP reputation. Aside from IP Rehabilitation, our service also works well with new mailers trying to build a list of openers. 99.9% of new mailers struggle to keep their emails going to the inbox after a single mailing. Even after building a small list of openers, all subsequent emails end up in the spam folder. Even your original openers can wind up in spam. Utilizing our service will ensure that you are building a quality list, while hitting the inbox. You are an email marketer. Your biggest concern is getting your emails to the inbox. The deciding factor on your emails getting to the inbox is your email server, specifically your email server’s domain and IP(s). As long as your subscribers are opening your emails and clicking the links in your email (and replying to your email), your reputation increases. This is ideally what you want to happen. It’s also what email providers like to see. This means that you are positively engaging your audience. How do you get started with your own SMTP Server when you cannot control the actions of your subscribers? Will they open the email? Will they click SPAM? Will they click your links? Will they unsubscribe? Sometimes you’ll send out an email to your subscribers and it just doesn’t quite connect. They don’t open the emails, they don’t click the links, they delete the emails or, the absolute worst case scenario, they click “Report SPAM”. When they click the “Report Spam” button a few things start happening. First of all, your reputation starts to decrease. What this exactly means is that your IP score begins to drop as well as your domain score. This is bad, because now your emails start going to the Spam folder. At this point, your subscribers stop seeing your emails and have no way of increasing your IP/Domain reputation. You are stuck. No matter how well you write your emails, no matter what “tricks” you try, your emails just keep going to the spam folder. It all seems hopeless. 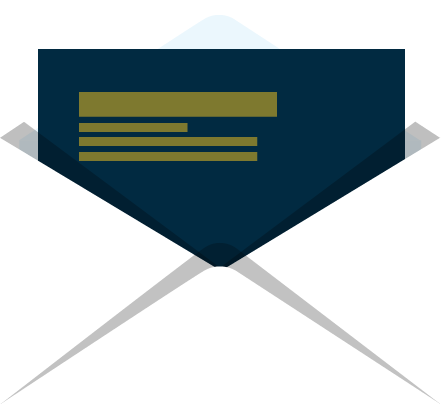 With our pre-warmed SMTP servers, your emails will instantly go to the inbox. Subscribers are likely to mark emails as “Not Spam” (increasing IP/Domain score), mark the email as “Important” (increasing IP/Domain score) and reply to the email (increasing IP/Domain score). After a few days, your reputation (both IP and Domain) will begin to increase. An increased reputation means less email filtering and less email filtering means more of your emails going to the inbox. What TLDs Does IP Oven work with? To maintain IP and Domain reputation, you can send up to 10,000 emails per day. If you need to send more than 10,000 per day, you can purchase additional servers. How does IP Oven work? We send transactional emails through your email server. Messages are positively engaged, thus increasing your IP and Domain reputation. We provide you with an SMTP server that has already been through a warmup with Gmail, Yahoo or Outlook/Live/Hotmail. Your emails will go to the inbox and quickly. 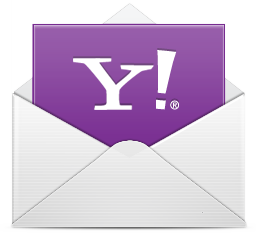 Nothing at all, we provide you with everything you need to get started emailing. If you want to build domain reputation with your existing service (GSuite/Outlook365), provide us with your domain and we will give you the additional DNS records that you need to setup. You don’t have to do anything at all. We do it all for you! We provide you with a warmed email server. If you are sending through your own server (GSuite/Outlook365), provide us with your domain and we will give you the additional DNS records that you need to setup. After that, we continue sending emails through your server. Our service works as long as you aren’t permanently blacklisted. If you’ve mailed to the point where you are getting 5xx errors back, you either need to reach out to the TLD that you are blacklisted with or change IPs/Domains. Also, if you are mailing SPAM while we are mailing, you can essentially render our services null. Our service works as long as you aren't sending SPAM. I need a lot of IPs, will IP Oven warm them all? Absolutely. We warm your server for as long as you remain an IP Oven customer. We provide you with a server and a domain with 1 IP address that is going to the inbox with GMail, Yahoo or Outlook/Live/Hotmail (depending on the server that you purchased). How long does it take for my emails to start going to the inbox? If you've purchased a server through us, your emails will go to the inbox from day #1. For reputation rehabilitation, when you provide us with a domain, it takes between 1-4 weeks to get your emails back to the inbox, depending on your current domain and ip reputation. If you've managed to get on an internal TLD blacklist, it could be 30-60 days before you are removed from those lists. We cannot control anything beyond mailing quality mail to increase your domain reputation. If I have a support issue, who do I contact? Place a ticket here: IP Oven Support Or Contact [email protected] and we will answer your questions promptly. What do I do if my emails start going to SPAM? Stop sending for a few days and your emails will go back to the inbox. 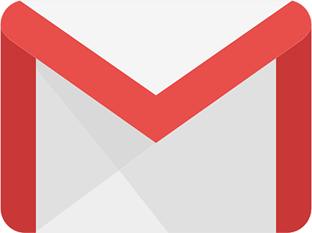 We strongly urge you to test that your emails are going to the inbox before sending a campaign to many subscribers. What do I get with my server? Your server comes with the login credentials as well as the email address that was used during the warmup process. 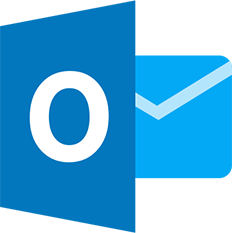 You can send your emails directly from the pre-warmed SMTP server as well as the pre-warmed domain. We allow all legal content. Copyrights © 2018 All Rights Reserved by IPOven, LLC.